OmniAire 200V HEPA Negative Air Machine by Omnitec Design Inc. 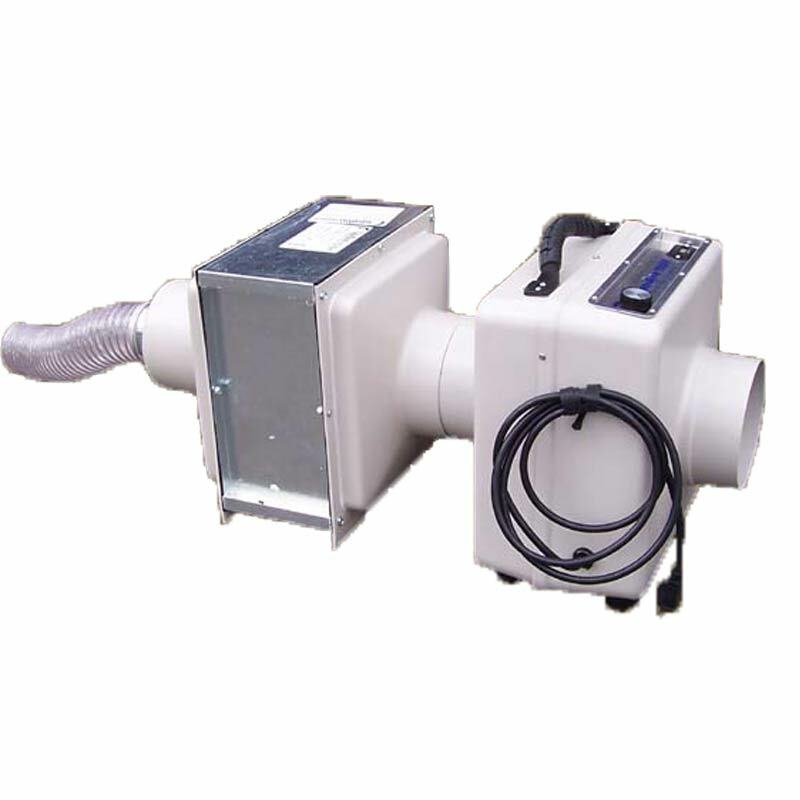 The OmniAire 200V is a modular portable air filtration system used for removal of hazardous airborne contaminants in areas where a small airflow and quiet operation is required. Glove bags, work benches, welding benches, and de-soldering stations are some examples of applications for this machine. The modules can be stacked atop one another or separated by as much as 25 feet. Also by adding an optional Y adapter dual inlet hoses may be connected. When dealing with hazardous materials such as nuclear waste or lab contaminants, the advantage of the modular design is that only the HEPA module must be discarded as the blower will not be contaminated. The HEPA module contains a HEPA filter sealed between two ABS plastic adapters which allows for easy connection to the blower. An optional carbon filter module is available and can be either used in place of the HEPA filter module or in conjunction with it.